Dana Johnson Teasley has served for over 12 years as Vice President, Chief Financial Officer and General Counsel of GEO Foundation. She oversees all of the business, legal, and operational aspects of the GEO Foundation and the GEO Academies. Dana holds a Liberal Arts degree in Communication, a Master’s Degree in Business Administration, and a law degree, all from Indiana University. Prior to joining the GEO Foundation, Dana spent several years in public and media relations and business management. She finally gave in to her passion to return to law school, and upon graduation, opened her own solo law practice specializing in serving special needs students and their families. She joined GEO in 2004, drawn by GEO’s mission of empowering students in high-risk areas by providing them with a high-quality education and path to college. While in law school, Dana earned honors as Moot Court Champion, a member of the Order of the Barristers, a member of Law Review, and earned Pro Bono service awards. She is licensed to practice in the State of Indiana, and in the Northern and Southern Indiana Federal District Courts, and still serves special needs students and their families on a pro bono basis. Dana is currently in her second term on the Special Olympics Indiana Board of Directors. 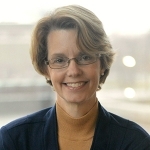 She has also recently joined the Board of the Children’s Law and Policy Initiative of Indiana, a non-profit organization focused on decriminalizing disciplinary practices in schools through age appropriate processes and promoting restorative justice policies conducive to healthy outcomes for students. She has also served as a twice-elected member of her hometown traditional public school board and has been president of the board of trustees for her local library. On a personal level, she is a happy, busy mom of one college student and two high school students, and spends what little free time she has with her husband, a good book, or anything related to professional sports in Pittsburgh.